It's the first week of October and all through the streets smells of Pumpkin Spice fills the air. Pumpkins and skeleton decorations have invaded the stores. It's official: Halloween is coming. The idea of throwing one yourself may be daunting. But throwing a Halloween party should be fun and shouldn’t have you rushing to google search for "payday loans near me?" to pull off! 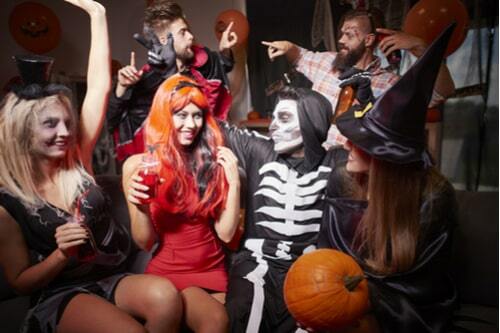 To help you in your Halloween endeavors, here are 4 tips for a fun-filled night with less fuss and less cash loss. Avoid a large, complicated party. Pick a simple theme and mine it for all its worth. Stick to just a “witch” theme or a “graveyard” theme— Don’t try to get the whole Halloween gambit in there: The decorations will often cost more than they are worth. Another great idea is to pick a movie as a theme. A Harry Potter themed party gives you a clear direction for decorations, food and will have built-in entertainment! You can all gather around and watch the movie! Once you have a solid theme, start looking around for deals for decorations and accouterments. There are tons of cheap but great Halloween decoration ideas to be found on the internet. Search on Etsy and Amazon to get a feel. Local Dollar Stores are also great places to grab some decent decorations. You can even gut costs on invites by doing e-invites or organizing the whole thing through Facebook. Part of planning a successful, bargain-filled party is starting early. If you leave your planning and shopping until the night before, you will have to buy whatever is available at whatever the price may be or forgo decent decorations all together. Another plus to starting early is getting your guest list down. If you send out invitations at the start of October, you’ll be more likely to lock down friends before everyone is already booked. Nothing says party savings like a good ol’ potluck. Once you have your theme and your guests, ask people to bring snacks and food. A great idea is to just do appetizers and hearty finger food. You can even assign people savory or sweet to avoid having a table filled with cupcakes and candy with only one cheese dip to satisfy salty cravings. Asking people to bring drinks or booze is also a great idea. Being responsible for specific items also keeps people from canceling last minute! 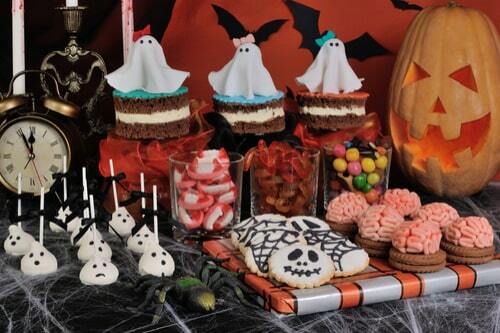 If you need any ideas for fun Halloween themed foods and desserts, the internet is filled with helpful ideas. 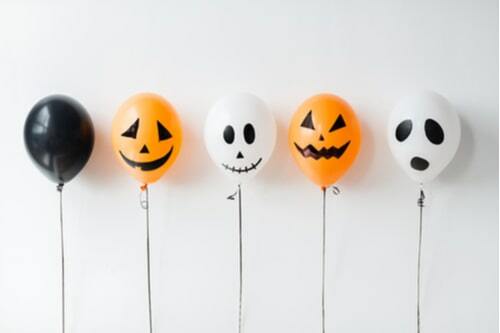 There you have it – 4 simple ways to make a Halloween party less of a nightmare and more of a fun-filled spooktacular! If this article has come too late for you and you’ve already overspent on your Holiday season budget on a grand party, don’t worry, we’ve got help for that too. Related: The holidays are just around the corner - are your finances ready? Here are 3 ways installment loans can make the holidays more festive!